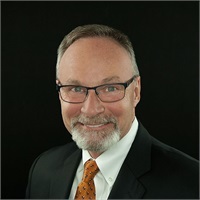 Jeffrey Scheithe | SAI Financial Services, Inc.
As President and CEO of SAI Financial Services, Inc., Jeff Scheithe specializes in helping individuals and businesses strengthen their financial independence. With over 35 years of experience in the financial services industry, Jeff focuses on providing tailored advice and strategies for all of life's stages, including Retirement Guidance, College Planning, Investment Management, and more. A registered Certified Financial Planner™ (CFP®), Certified Fund Specialist (CFS®), and Certified Retirement Financial Advisor (CRFA®), Jeff also holds his Series 7, 22, 63 & 65 licenses. As an investment advisor and registered representative with Woodbury Financial Services, he is licensed in Life, Health, Long-Term Care and Variable Insurance. Jeff's designations from the College for Financial Planning and the Institute of Certified Fund Specialists, which require strict adherence to professional guidelines, affirm his commitment to ongoing education. In addition to empowering his clientele through continued learning, Jeff is dedicated to helping deliver customized solutions built to protect clients' financial futures. Since founding SAI Financial Services, Inc., Jeff has firmly believed in building and maintaining strong client relationships across generations to inspire the most lasting rewards. A Chicagoland native, Jeff is a double major graduate of the University of Illinois at Chicago with a BS in Finance and Economics. He and his wife Cathy live in St. Charles with their two daughters, Jessica and Jaclyn. They enjoy spending quality time together, traveling, and exploring the great outdoors. Outside of the office, Jeff also enjoys keeping up with the advances in technology, NASCAR, golf and reading.